Right off the bat, the news was incredibly unpopular. The pipe dream for many Vols fans had been that this opening could lure Monday Night Football announcer Jon Gruden, who once led the Buccaneers to the Super Bowl, away from one of the cushiest jobs in all of sports. 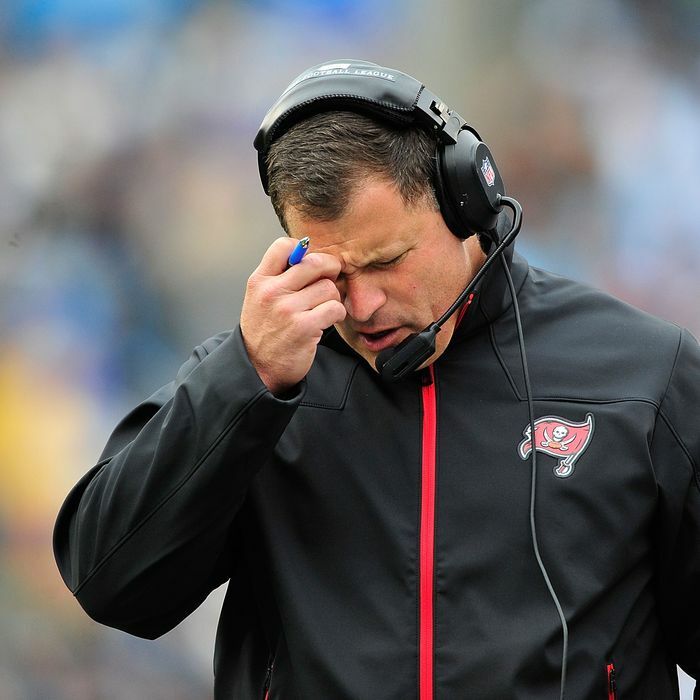 Instead, the school turned to Schiano, who like Gruden once coached the Buccaneers, but who unlike Gruden completely failed as their head coach. Schiano’s name hasn’t been seriously linked to any major college or pro opening since Tampa Bay fired him in 2013—the only person claiming outside parties were interested in Schiano was the man who hired him at Ohio State. The likes of Bill Belichick and Urban Meyer consider Schiano a great defensive mind, and he once turned around a moribund Rutgers program, but his reported hiring indicated that Tennessee would settle for somebody that no other program appeared particularly interested in. Well, if Schiano wasn’t a household name in the state of Tennessee before, he certainly is now, and not in a good way. Vol fans are now coming to grips with the power they exercised over an athletics Establishment that probably figured some lost season ticket sales were the worst they might fear in choosing whoever they wanted. And politicians in Tennessee must think about the precedent they set in intervening instantly with respect to a proposed college-football coaching position. You could definitely see ambitious political underdogs throughout the South trying to get attention and votes by pushing for or against coaching hires, particularly with jobs coming open this year all over the region. Voters may need to know their positions on taxes, education, economic development, and football.